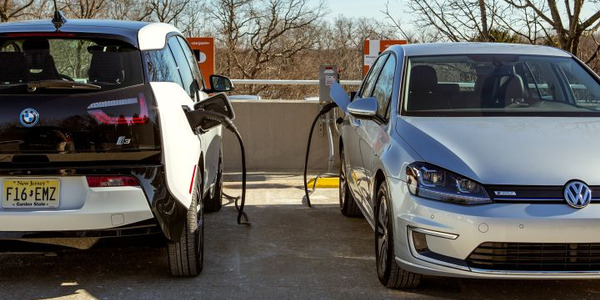 Diesel and gasoline still dominate the commercial powertrain world, but hybrid and electric mechanisms, pushed by government regulations and support, might be headed for big growth. Announcements by Tesla and a new company, Nicola, that they’re working on creating Class 8 electric trucks, is driving public interest in the concept, and California is pushing for zero-emission-vehicles for commercial use. In recent years, low and somewhat stable conventional fuel prices have undercut the return on investment required to make a business case for hybrids and electrics, which have added 40 to 100% or more to prices for conventional trucks. 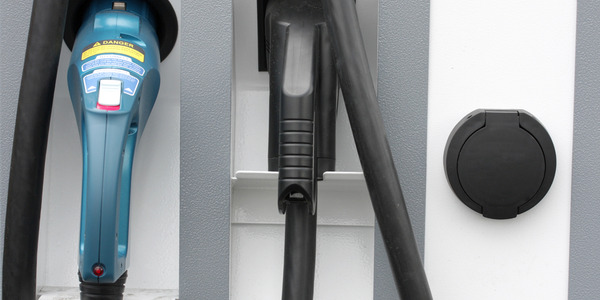 To some extent, user interest has swung from hybrid propulsion, which was the emphasis in the early 2000s, to electrification of work trucks as a way to reduce engine idling. Electrics have great maintenance advantages, but their high upfront costs put them largely out of reach without government grants and voucher programs. Although Eaton left the North American market several years ago, numerous hybrid propulsion products remain available. For medium- and heavy-duty work trucks, the sole supplier now is Odyne. “Many fleets are still interested in improved fuel economy and reduction of exhaust emissions,” says Chief Engineer John Peters. They’re usually public utilities, municipalities and other operations with high profiles and progressive management. 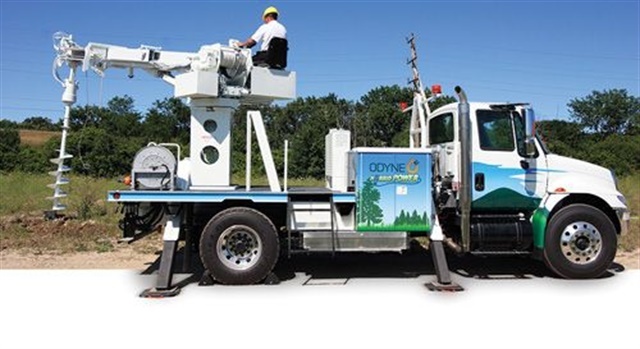 Odyne’s plug-in systems are used in various truck chassis fitted with utility bodies. On the road they’re parallel hybrids, meaning engine power or electricity or both move the trucks, and braking produces electricity that’s sent to batteries and is used for launch assist. On job sites the trucks operate almost entirely on electricity. Electric power operates on-board equipment, including buckets and digger drills, with engines restarting when needed for power generation. They can also generate “export” power to relight neighborhoods cut off by outages from weather and equipment failures. Engines seldom run just to keep on-board batteries charged. 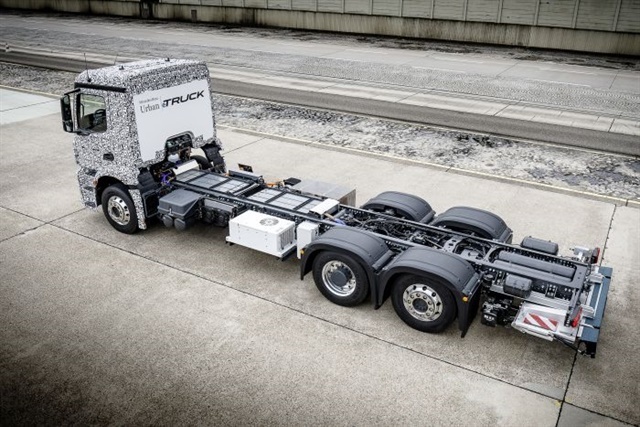 Another approach is marketed by XL Hybrids, whose products are bolt-on electric-drive systems that can be installed on new and existing trucks and buses. Its expanded line of Class 2 to 6 propulsion products now includes Ford E-series and Transit vans and the F-59 chassis; General Motors G-vans; and the Utilimaster-Isuzu Reach van. 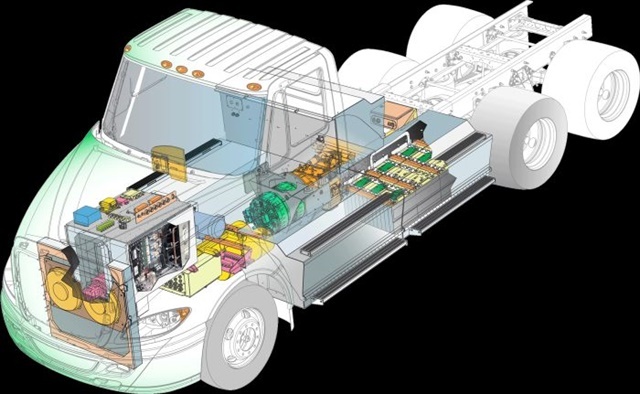 The systems attach to the rear of engines and, like other hybrids, capture energy during braking, store it in special batteries, then send power back to a motor-generator to help launch the truck. Systems can be removed when trucks are traded or sold and reused on replacement chassis. With hybrids, sometimes the magic works and sometimes it doesn’t. New York City’s Department of Sanitation, or DSNY, has tested electric- and hydraulic-drive hybrids for years, and managers are disappointed with the results. “We were hoping for fuel savings of 30 to 40%, but we’re getting 10 to 15%,” says Rocco DiRico, deputy commissioner for support service. Short distances between curbside pickup stops in certain dense boroughs prevent trucks from building up enough speed to produce enough kinetic energy that can be captured and reused. DSNY and three diesel-electrics, which have additional potential as electrical generators, perhaps to power mechanisms on trash packer bodies. That adds another 10% in fuel economy. But the other approximately 5,950 Class 8 trucks are mostly diesel-powered (and almost entirely from Mack). However, hybrids can work in less congested areas. 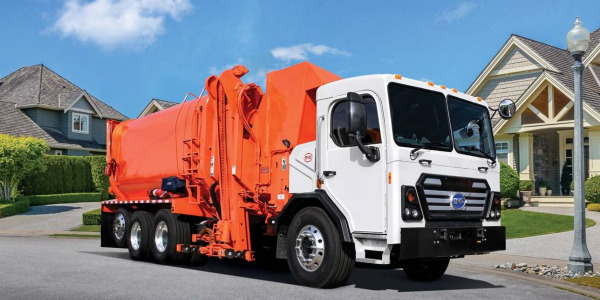 Municipal trash disposal departments in Houston and Austin, Texas, have ordered Autocar collection trucks with Parker Hannifin’s RunWise hydraulic hybrid drivetrains, and Miami-Dade County, Fla., is a repeat customer. Fuel savings are substantial and brake wear in the multi-stop application is a fraction of that on conventional diesel trucks, fleet managers say. Parker calls its system three-speed because at low street speeds it operates in two hydrostatic modes, and on freeways goes into direct-gear mode so the engine moves the truck at low rpm. Smaller systems from several manufacturers continue working in package-delivery vans at UPS and FedEx. 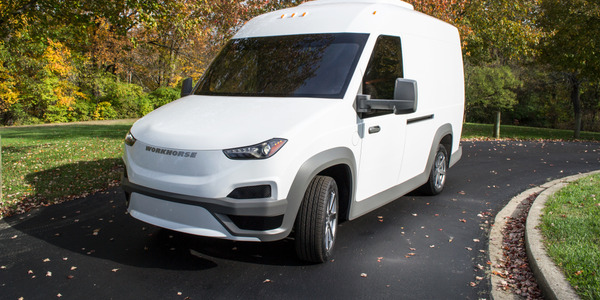 The latest is from AMP Holding, owner of Workhorse, which last year got a UPS order for 125 vans with E-Gen hybrid-electric systems. Hybrids and electric drivetrains make sense on certain routes, the package delivery giants report, but the overwhelming majority of their fleets remain tried-and-true conventionally powered vehicles. This could change as federal greenhouse-gas and fuel economy standards become stricter into the 2020s. 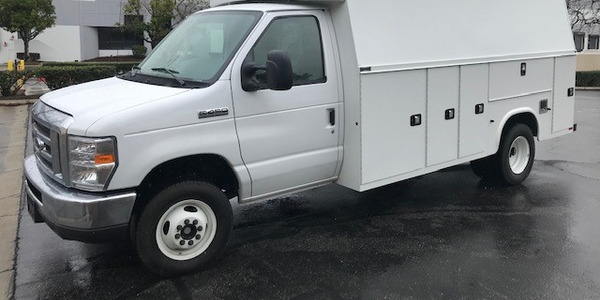 Engine stop-start technology is employed in the “electrification/hybridization of the work truck platform,” according to Paul Wion, Northeast fleet manager for Charter Communications (which recently merged with Time Warner Cable). “From what I see, the hybrid-electric powertrain has gone to the wayside,” adds Wion, speaking as the new chairman of the Light/Medium-Duty Specialty Trucks task force within the Technology & Maintenance Council of American Trucking Associations. But he’s found that using electricity to power on-board hydraulic systems is viable. On a growing number of Charter trucks, electric motors, using energy from extra batteries, spin hydraulic pumps that pressurize lines for man buckets. The fleet meanwhile is converting from traditional North American cargo vans to lighter-weight, Euro-style vans with smaller, more economical engines. Most are Ford Transits. They drive normally, with no electric propulsion or regenerative braking, but go hybrid while at job sites. Heavier Ford F-450s and 550s use their diesels to power PTOs that turn hydraulic pumps. Engines turn off and on as needed. The engine-off mode cuts fuel burn, exhaust fumes and noise to nothing, which pleases workers and neighbors. Fuel savings have averaged 20% over trucks without stop-start. But engine-off also stops operating the cab heating, ventilating and air conditioning systems. This irks technicians, who want their cabs comfortable when they return from the heat or cold of the day. The solution for Charter is an auxiliary system from Zero RPM, which monitors cab temperatures and runs HVAC equipment with power from dedicated batteries. Those batteries can be charged at night, while trucks are parked at technicians’ homes or at a Charter facility. Engines restart to recharge the batteries when needed. Peterbilt has begun an electric-truck project with TransPower USA as the supplier of electric powertrains. 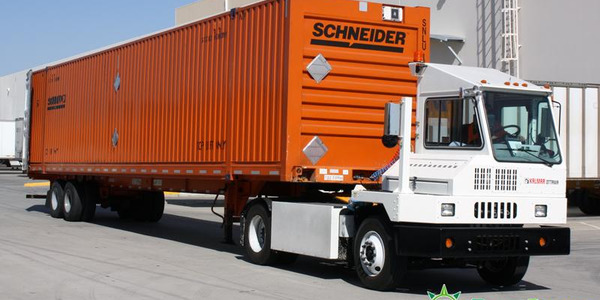 They’ll be tested for feasibility in drayage operations and with an eye for production potential. TransPower meanwhile continues building its own EVs, using International ProStar tractors and other truck and bus chassis as platforms. CEO Mike Simon says 24 vehicles — 12 Class 8 tractors, six yard tractors and six school buses — are now running, and together have accumulated 65,000 miles. 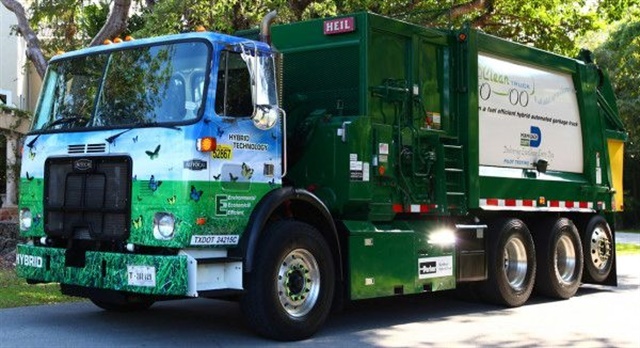 Mack is evaluating a Wrightspeed Route turbine-electric hybrid powertrain for heavy trash-collection service. It retrofitted an LR model with the system to see if it would be a workable alternative to conventional powertrains. Mack says it will evaluate the combination for operating costs, sales potential and production methods. The system has a plug-in-capable battery pack that supports electric operation for up to 24 miles, and many more when an 80-kW Fulcrum turbine generator, which can run on natural gas or diesel fuel, recharges the batteries. 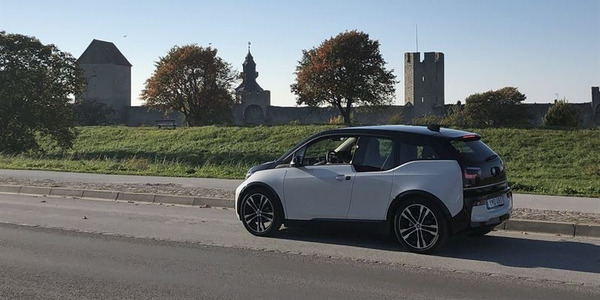 Additional recharging comes from the regenerative braking system. 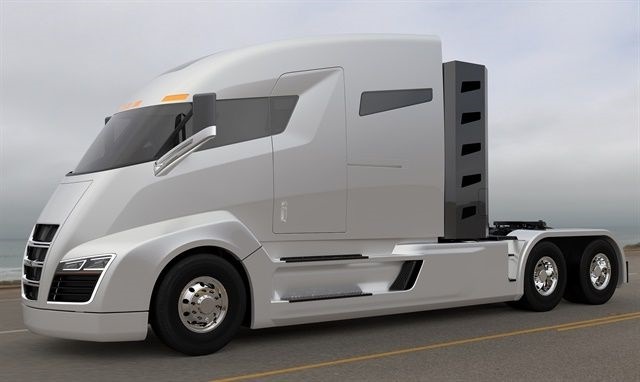 The Nikola One tractor, announced in May by a new company, Nikola Motors, is billed as an electric truck but is actually a turbine-electric hybrid. When fueled by natural gas, its range will be 1,000 miles, the firm says. The aero-styled tractor has six motors, one at each wheel position, which suggests potential for on/off-road applications. But Nikola (pronounced NEE-ko-la) says the One is only for pulling semitrailers over the road. It reportedly has amassed $2.3 billion in orders. 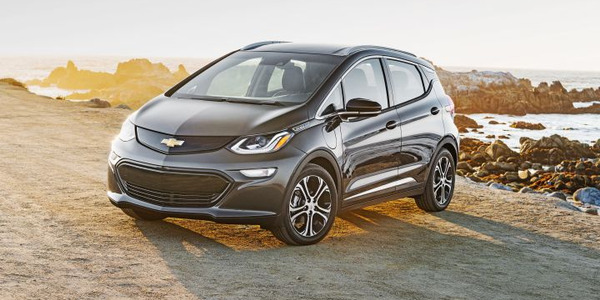 It will show off a prototype on Dec. 2 at its headquarters in Salt Lake City, and production should start 18 to 24 months later. 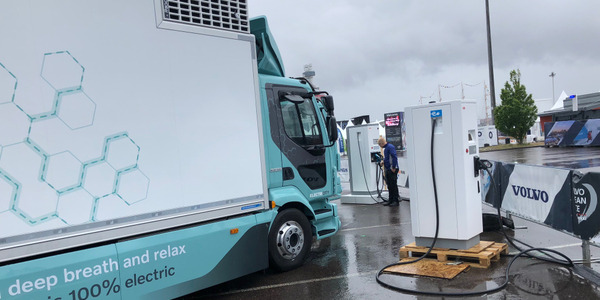 Daimler in Europe announced the Urban eTruck, based on a Mercedes-Benz Actros heavy chassis with an all-electric powertrain, and using lessons learned with the Fuso Canter medium-duty EV. Daimler said the eTruck will undergo evaluation in short-haul delivery service, and it sees commercial sales by 2020 or shortly thereafter. Trolley-type electric distribution systems will be tested in Europe by Scania and in southern California by Volvo. Overhead wires carry power to trucks with pick-up apparatus (called “pantographs” by railroaders). Such systems are expensive, and Van Amburg says the SoCal test will likely be limited to the Los Angeles and Long Beach port areas. 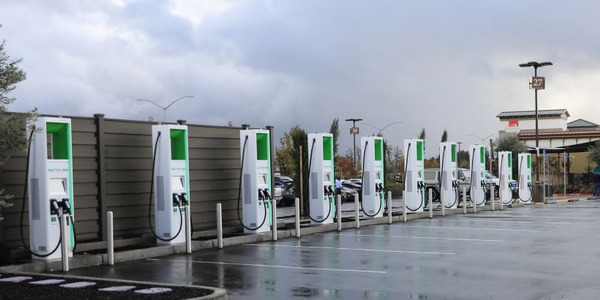 Smith Electric, which suspended production in May 2014 but obtained backing from a Chinese maker of batteries and electrical components, recently announced that it’s restructured its operations, has a new CEO, and is preparing to resume building its light- and medium-duty EVs. But it didn’t say when (and couldn’t be reached for clarification).